Advanced Energy Capital provided a factoring line for Pristine Property Management, Ltd (PPM) to enhance their working capital position. Pristine Property Maintenance is a mid-size company that has years of experience providing grounds-keeping and landscape maintenance services throughout the Greater Toronto Area. Their focus and expertise lies largely in the grounds and snow and ice maintenance for condominium townhomes and municipal properties. The 1,500,000 facility was completed and funded on January 17, 2019 and provided significant working capital over and above Pristine’s incumbent lender’s line of credit. “As a company that invoices in advance of our service and under long term contracts, we needed a capital provider who was comfortable with our operating history to structure a working capital facility that provides us the ongoing capital to propel PPM to the next level.” said Adam Watson, CEO of Pristine. “Adam’s cooperation, history of corporate success and blueprint for long term growth made our job easy in closing and funding this cross-border transaction” Reported Richard Rudy, Principal at AEC. “We look forward to a long term relationship with Adam and PPM as they continue to execute on their business plan” said Steven Feldman, Managing Director of AEC. AEC is a commercial finance company which provides working capital financing ranging from 0,000 to ,000,000 to small and middle market manufacturers, distributors, and service companies nationwide. Based in New York, AEC is committed to helping businesses increase their capacity for business transactions. AEC’s programs provide companies with capital in a fraction of the time it would take to process a loan through the bank and in many cases provide significantly higher proceeds than the traditional factoring companies and asset-based lenders, while taking on assignments the traditional commercial finance market ignores. Singapore 2019. Mar.1- Longxing Global Mining Assets Digital Trading Platform attended The Block Challenge Event held by Dubai World Trade Centre(DWTC) in Singapore. During the event, Longxing announced that Longxing is officially listed on ExShell (token: LXS). The Longxing platform is the first digitized trading platform for mining assets based on blockchain in the world. Relying on blockchain technology, the Longxing platform recognized the upgrade from the traditional local offline trading mode to global online trading mode. Depending on the technical advantage of the Longxing platform, cross-border transactions can be realized, purchasing qualifications can not be relied on, transaction thresholds can be lowered, liquidity and transaction efficiency can be improved, and transaction cycles can be shortened. As digital money payment has formed a good ecological environment, online iron ore, digital assets trading and linking to global mining assets intermediaries can not rely on traditional currency. In the future, with the help of the Longxing trading platform, online trading of iron ore, coal mine, non-ferrous metals, rare technology and other resources, will all launch on the blockchain and trading can be completed only with digital money. Combining the latest technologies such as blockchain, Internet of things and AI, Longxing has cooperated with taoken bitcoin company to develop the global blockchain mining digital trading platform system. Based on the characteristics of mining, generating sales business process and mining assets, two blockchain systems are developed respectively: the system of business chain and the system of assets chain. Among them, the business chain system mainly needs to display company information, financial data, business and technology, production data, etc., and at the same time, give senior investors a real-time view of production and operation data; Assets on the chain system mainly include the creation of equity, audit and issuance functions, as well as information bulletin functions. Distributed nodes are located in issuers, law firms, accounting firms and all private investors, etc., providing investors with a transparent and untamable platform for operating data and assets. “ExShell is a global leading digital financial exchange founded by two ex-senior executives of Huobi. The listing on Exshell is a new milestone for Longxing, it marks that the company is entering into the capital market and a new stage of development. We will make persistent efforts to constantly climb the peak.” Said by Oliver Ran, Chairman of TokenBit & Secretary General Director of Longxing. For more information, you can follow us on Telegram at?https://t.me/lxtoken, or visit our business system? http://www.dysysep.com and our assets system?http://www.dysysgp.com . FIST® (FInancial STabilty) Score is similar to a credit score, but evaluates all aspects of a person’s financial health not just one’s debt levels and credit worthiness. This straightforward index (0-100 scale) can be used to help individuals quickly and accurately identify shortfalls in insurance protection, retirement accounts, and emergency funds. By answering a handful of questions users are able to pinpoint where the financial vulnerabilities lie within the categories of liquidity, debt, retirement and insurance. A colorful dial displays one’s calculated score in each category on the personal dashboard with the ability to compare scores against others nationally. The user’s experience doesn’t end there, using AI technology, industry-standard interest rates and income replacement assumptions, the FIST® tool gives suggestions on how to improve one’s score and overall financial health. Users are able to follow the recommendations, set and track financial goals, and generate colorful PDF Action Plans on their way to improving their scores. FIST® also comes with personalized videos, advanced planning tools, customizable boxes for promotion of company product/benefit offerings, as well as single sign-on capability. Other features include administrative tools, marketing reports, target email lists and company-defined database queries. FIST® Score is now available for licensing and branding to employer groups, brokerage firms, insurance companies, banks, credit unions and other financial verticals. Click to watch a short promo video of FIST. Charter Capital announced today that Stephen Ray has joined the factoring company to further develop their growing portfolio of accounts receivable factoring services. Stephen Ray comes with a wealth of experience within the factoring industry in underwriting and business development. Stephen joins Charter Capital to continue success in providing accounts receivable financial services to many of the top industries it serves. Stephen says, “I'm thrilled to join the Charter Capital family and cherish the journey that I have before me." The unique aspect of Charter Capital is not only its flexibility in financing various industries, but also its ability to assist startup businesses. Funding programs are designed to provide a fast and steady source of working capital funds to businesses in need of an alternative to borrowing from traditional banks or costly online lenders. With a company mindset dedicated to fast, solution-oriented funding, Charter Capital fills the void created by limited access to traditional sources of working capital and gives small businesses a more reasonably priced option for funds than is typically offered by online lenders. Charter Capital offers factoring lines starting at ,000 up to million to customers in most industries. To learn more about Charter Capital call 1-844-838-1424 or visit the website at https://www.CharterCapitalUSA.com. Maritime Insurance International, an independent marine insurance agency, has hired two Marine Insurance industry guru’s to expand their East Coast footprint. 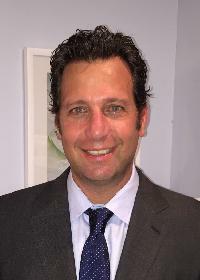 The independent marine agency brought on Adam Meyer as Director of Sales – Southeast and Rod Clingman as Director of Sales - Northeast, respectively, as of November 1st, 2018. 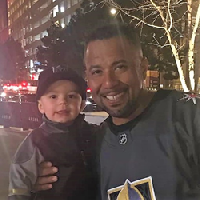 Adam Meyer graduated Wake Forest University School of Law in 1996, then started his marine insurance career in Cincinnati as a Marine Loss Control Specialist with St. Paul Fire & Marine. He then went on to Chicago to specialize in Mega Yacht and Commercial Marine underwriting as an Ocean Marine Underwriter for St. Paul / Travelers. After 5 years in marine loss control and underwriting, Adam moved back home to North Carolina, where his passion led him to the agency and sales side of marine insurance. Since 2000, Adam has built an impeccable reputation as a specialist marine producer, and led two successful marine divisions. Maritime Insurance specializes in Boat, Yacht, Marina, Boatyard, Boat Dealers, & Boat Builder insurance solutions. MII has amassed over 100 years of collective experience in the marine industry and has a group of professionals that are unmatched in this niche insurance industry. They pride themselves on providing clients responsive and personal service coupled with competitive markets throughout the relationship. The agency is licensed in 46 states with offices in four port cities. Offices are located in Charleston, SC; Annapolis, MD; Mystic, CT; and Wrightsville Beach, NC. For more information call 843-606-5270 or visit http://www.maritimeinsuranceinternational.com. Platinum Risk Advisors (PRA) announces the launch of Loan Portfolio Analytics (LPA), an innovative outsourced solution to assist banks and credit unions in complying with the Current Expected Credit Loss (CECL) accounting standard. 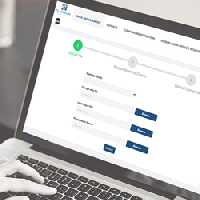 Dubbed the “10-minute CECL Solution,” LPA brings the industry’s first fully outsourced analytics tool for adopting and complying with CECL that also provides its users with valuable insights into the inherent risk in their loan portfolios and the performance of their loan officers. For a comprehensive sampling of LPA’s capabilities and a comparison to other CECL solutions, visit http://www.CECLadvisors.com. To schedule an individual or group demonstration contact Toby Lawrence at (319) 202-4365. Platinum Risk Advisors combines more than 100 years of expertise and experience across accounting, regulatory, lending, actuarial science, risk management, loss reserve setting and model development. Chinese government has implemented policies to encourage companies to return to A-share market. With the fast growth of China’s economy, China concept stock’s privatization is increasing in 2018 after a number of companies including WuXi AppTec, Mindray and Cheetah mobile went private to China’s A-share market. On November 11, China Customer Relations Centers, Inc. (CCRC) has announced plans to go private to A-share market in China. CCRC’s announcement has led to more discussions by the capital market on privatization. Earlier this year, General Office of the State Council of China quoted China Securities Regulatory Commission’s (CSRC) policy during National People’s Congress and Chinese People’s Political Consultative Conference that based on China’s law and market policy, they encouraged innovative companies to issue stocks in China, especially industries with new technologies and strategies such as biotech, cloud computing, AI and high-tech manufacturing. On October 19, 2018, CSRC announced during its press conference that they have taken steps to help restructure work including making reasonable prices to protect small and medium sized investors; actively supporting quality overseas listed companies to list in A-share market and treating overseas companies the same as domestic entities as well as eliminating barriers to entry. Sources say, call centers and third-party providers of e commerce customer services are industries supported by Chinese government. This industry is labor-intensive with light assets and high tech. CCRC has advantages in this field. Based on Chinese internet research data, the total market size of Chinese domestic call center is about 630 billion RMB or 91.1 billion dollars in 2017. Because of the large industry size and the market stability, its annual growth rate is about 8.4% and after 2020, it is estimated to be 5.5%. Currently, call center system is transitioning from local servers to cloud servers. Cloud call centers has become the majority of this growing market. Many industry experts consider CCRC an absolute pioneer in China’s call center and e commerce service third party provider industry, especially during this era that Chinese government encourages domestic listing of quality overseas companies. The business model will be easier to be recognized by investors in the A-share market than Nasdaq. It will also provide more growth in value in the future. 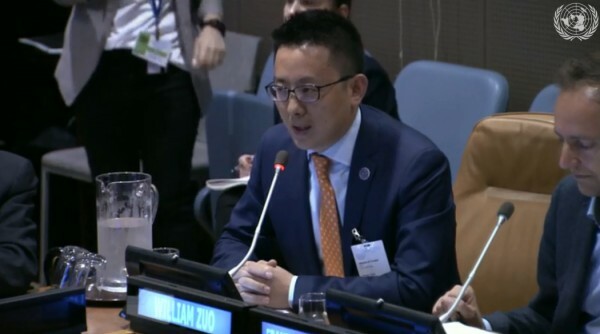 (Oct 30, 2018 New York) Gingkoo Technology of Shanghai presented its vision on being a leading blockchain company in China during the Cryptocurrencies & Blockchains Forum at the 73th UN General Assembly. Gingkoo’s founder and CEO William Zuo gave a speech on how blockchain has been applied to the economy at the global conference in New York. 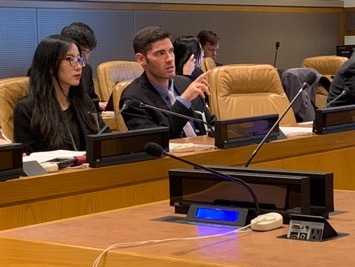 Representing Georgia, France and Germany, the Leading Group on Innovative Financing for Development invited experts from government and private sectors to provide insight into blockchain technologies and the potential impact on development. Blockchain technologies are critical to finance the 2030 Agenda and the Sustainable Development Goals. Gingkoo’s founder, William Zuo shared his vision on blockchain with government officials, experts and entrepreneurs. He pointed out that blockchain technology should serve society from five tiers of the economy: government, financial institutions, large corporations, small and medium size enterprise (SME) and individuals. Gingkoo, the Shanghai based fintech company has successfully applied blockchain technology to serve government and financial institutions clients worldwide. In Guangzhou, Gingkoo has guided local government in adopting a blockchain solution to improve government affairs and transparency, which has been awarded as the top 10 Blockchain Application by China Ministry of Information and Industry. They also created a garbage classification solution by using blockchain+IOT technology for the local governments. The company deployed a food traceability project from northern china to address the problem of food safety concerns in China. In the financial services arena, Gingkoo’s cases include payment and tax solutions, supply chain finance and Regtech solutions. Gingkoo’s clients include major commercial and central banks such as HSBC, Citibank, Morgan Stanley, Deutsche Bank and UBS etc. As the biggest solution provider for CIPS, China cross border payment system of China central bank, Gingkoo has been a key player to support the country’s one Belt one Road Initiatives and to develop blockchain-enabled cross-border, cross-currency and cross-asset payments and logistics solutions, which could revolutionize the supply chain finance sector worldwide. Meanwhile, David Ritter, CEO of Penta and co-founder of Gingkoo, Florie Zheng joined the meeting and shared Penta’s work progress on blockchain. Penta, a public chain, is leading the solution of identity issues for the homeless population in US west coast cities. In July 2018, Penta was the first blockchain crypto startup to complete acquisition of shares of AXS listed Australian IOT tech Company, CCP Technologies, using Penta’s PNT Cryptocurrency. Zuo pointed out the other advantage of blockchain is to resolve the trust issue among SME. Gingkoo has used blockchain technology in Xiamen City to help SME financing and individual credit information sharing. This case was one of the first successful attempts in its field and was shared by Zuo at the Berlin World Bank SME Financing Summit in Nov. 2017. 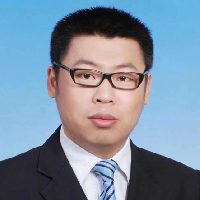 As Gingkoo aims to be the first blockchain application solution provider in China, Zuo shared his vision on the future of blockchain, “I think blockchain should be green, inclusive and productive. I think everyone in the future will deserve opportunity of the blockchain.” His speech has been applauded by hundreds of attendants at the UN event. 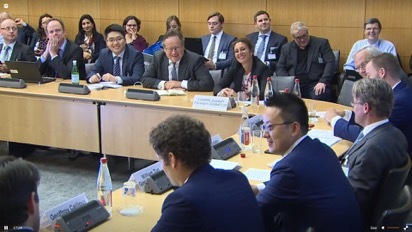 On September 4 and 5, Wiliam Zuo gave a speech as an honored guest at the Organization for Economic Co-operation and Development (OECD)’s first ever Blockchain Policy Forum in Paris, which was considered one of the high-level discussions with a range of public officials and private leaders from all over the world. Gingkoo Technology (www.gingkoo.com) is a Shanghai based leading Blockchain technology company established in 2014. It helps build complete blockchain solutions in banking, financing and government. Gingkoo has raised about 23 million dollars or 160 million RMB led by Zhongnan Investment Group (SZ.000961). As a member of China's Ministry of industry and information and the National Standardization Management Committee, Gingkoo Technology participates in the formulation and compilation of several national standards of blockchain, and several district chain experts have been selected as members of the ISO/TC307 international standard specialist group. Gingkoo is the first company to receive the prestigious Million RMB Award for Blockchain from the Shanghai municipal government, recognizing Gingkoo’s outstanding contributions to blockchain development. In explaining their decision for the award, the government cited Gingkoo’s credit chain as a groundbreaking project that enables SMEs to gain access to credit. Penta (www.penta.global) is a joint project of permissionless chain by Gingkoo and an American team. The goal of Penta is to achieve a fast-decentralized infrastructure compared to ETH and EOS. Penta has raised 30 million dollars in private funding, invested by crypto funds including Draper Dragon, Node Capital, Block VC and LD Capital. Dallas, TX: KryptoGraphe is pleased to announce that its cryptocurrency portfolio manager is compliant with the GDPR regulations. The EU General Data Protection Regulation (GDPR) is the most comprehensive EU data privacy law in decades. Besides strengthening and standardizing user data privacy across the EU nations, it will require additional obligations for all organizations that handle EU citizens’ personal data, regardless of where the organizations themselves are located. The new regulations are designed to better reflect the interconnected nature of our world regarding consumer’s right to privacy, protection of personal data, and business usage of personal data across the European Union. The team at KryptoGraphe has updated the app to implement the data protection and privacy policies. The personal data of the user is anonymized. The users are now able to export their personal information. The personal data will be deleted from the app’s records should the user choose to close their account. In case of a breach of security, all users will be notified within 72 hours. KryptoGraphe encourages safe investing and aims to provide a secure platform to track all cryptocurrency investments. Insuranks.com, the international startup technology company and marketplace platform is looking forward towards complete disruption of the insurance industry by continuously improving the insurance experience of all sides of the industry. Insuranks is aiming towards creating as many simple, transparent, accessible, fast, reliable, secure and friendly user experiences for insurance consumers, agents, brokers and carriers. It currently has over 70 listed insurance companies and over 12,000 insurance agents on board. The new Israeli technology startup is allowing consumers (also named Insurankers on the friendly platform) to request and compare quotes and purchase their insurance online with over 230 supported insurance types, manage it and later rank the level of service that they received from their chosen insurers. Insurankers rank anything from customer service and claims experience to emotional intelligence, listening skills, trustworthiness, dedication and more in depth factors that are important to look for in an insurance service provider. Those rankings aggregate in to what is called Insuranks Score, an average ranking of all user rankings submitted for each insurance service deliverer. This ranking is displayed all around the platform for the benefit of the users, so when they get quotes they can find all the information they need about the insurance provider and make a wiser and more educated decision. Or when they simply browse through insuance companies and agents or look for the top 10 insurance companies and agents for over 230 insurance categories that the platform supports. It becomes the insurers reputation all around the platform. On the other hand, it also provides full information on companies and agents and allows agents and brokers to deliver quotes online through the carriers they work with via the easy to use marketplace platform. The agents insurance marketplace is fast, reliable and user friendly and contains a stream of insurankers that are waiting for agents to give them bids and quotes for their insurance needs. Agents can also manage their sold policies and clients online via desktop, tablets and mobile phones. With a mission to create maximum remarkable insurance experiences worldwide while making insurance simple and accessible to anyone regardless of levels of income, education or location, Insuranks is now looking for big name investors and sponsors to support their efforts and become the ultimate one-stop shop for all insurance needs while offering consumers, agents and carriers the best insurance experience that they can possibly receive online. Congress the Real Estate 2018 together with Stankevicius MGM has prepared an exciting investment event with presents and new business opportunities for participants worldwide. The organizers of Congress the Real Estate 2018 are preparing a worthy event to attend for investors. The event will cover crypto-assets, overseas properties, museum pieces, different investment projects, possibility to purchase gold bullion, possibility to deal with stock exchanges, IT-technology projects, developer’s programs. Event’s participants will as well include insurance companies, tax consultants, and lawyers. Representatives and delegations from over 20 countries will come to the Congress. Each year the congress offers innovative technologies and conveniences for guests and participants. Among the offers, you can find the matching opportunity of the first online exhibition of the Congress on the platform by Online Expo. The exhibition makes direct contact between the visitor from around the world and participating company on the platform, Online Expo. MarketDataForecast’s ‘UK Cards and Payments Market’ report provides the insight into various payment cards market trends and growth opportunities in the UK along with the complete information about different types cards in the market. It also offers an epitomized assessment about the competitors in the market, influential marketing strategies, customer purchase patterns, adopted payment methods in the e-commerce industry and significant government regulations associated with the UK cards and payments market. Our report unfolds many existing opportunities with reliable information about the different types of cash transactions, volumes of cardholders, market share, current accounts, growth in the number of cards, credit cards outstanding balances, transactional values, details of the issuers along with available banking schemes and futuristic analysis of overall cards and payment market in the UK. The banking industry in the United Kingdom is undergoing a rapid shift from regular branch services to digital services in the recent times. According to British Banker’s Association, the mobile payments accounted around 340 million in 2015, which is a 55% increase compared to 120 million in 2014. Likewise, the internet payments have witnessed tremendous growth in the same year. The number of debit cards is estimated to cross 104 million by 2021 from the current value close to 100 million. Many basic bank accounts were opened in the previous years with the aid of prominent banks like Barclays, Lloyds Banking Group, Nationwide, Royal Bank of Scotland, Clydesdale and Yorkshire Bank, Co-operative Bank, HSBC, TSB, and Santander, offering a free charge accounts. The UK prepaid market is growing steadily and estimated to cross GBP 40 billion by 2020 with a compound annual growth rate more than 5%. The main factors driving the market are the incorporation of these cards by both the government and corporate organizations. Gift card market is predicted to grow rapidly by 2020 as they are used in many business organizations to reward their employees. The UK government also encourages the use of prepaid cards to distribute pensions, child benefits, job seekers’ allowances and so on. Card providers like Visa and MasterCard are also concentrating more on the technology of contactless card payments. Visa, however, is also extending this technology to the mobile devices and wearables. On the other hand, MasterCard is completely focusing on the contactless debit cards to enhance its market presence. Retailers in the UK are gradually shifting to contactless POS terminals. According to the United Kingdom Cards Association, as of February 2017, there were more than 478,000 bank-owned contactless POS terminals in the market. The growth rate was comparatively higher than the earlier year by around 44% and predicted to occupy entire POS terminals market in the UK by 2020. • What is the adoption rate of UK Cards and Payments market and different types of cards in circulation? • Who are the leading card issuers, scheme providers, and third-party providers influencing the US payment cards market? • What are the growth opportunities provided by the alternative payment options in the UK market? • How are the emerging technologies and new product launches affecting the local cards and payments market of the country? METRUMCOIN - THE NEW WAY TO DO REAL ESTATE. METRUMCOIN — is a new generation digital Real Estate market platform that unites B2B, C2C and B2C into a single worldwide net designed for simplicity of use. 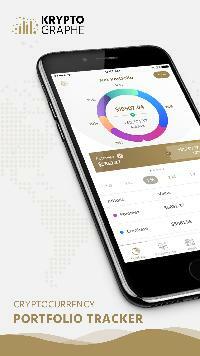 METRUMCOIN — a multifunctioning, multilevel platform based on the Blockchain technology with the use of iDeals (the next generation of smart contracts). The platform is capable of bringing any participants’ business processes to life. The main purpose of the platform is to remove geographical, bureaucratic and transactional barriers, while uniting all participants within a single digital space for the international RE market. It substantially simplifies the activities of buyers, brokers, investors, developers, construction companies, and all those who consider the RE business their lifestyle. We are making the market available in just a few clicks. Transparency, speed and safety are in METRUMCOIN’s DNA. The idea of METRUMCOIN project belongs to Mr. Telman Abbasov, a specialist with more than 25 years of real estate experience, and the President of the World Council of Developers and Investors FIABCI 2015-2017. The project was presented to the public at significant industry events such as "MIPIM-2017" in Cannes and "BlokTex-2017" in Kuala Lumpur. 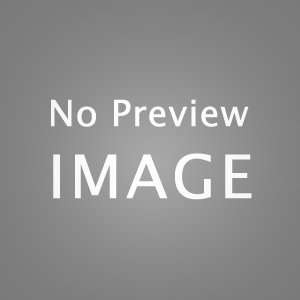 It has sparked great interest among RE specialists, as well experts from the IT industry. A team of highly qualified RE specialists determines company strategy. In addition, leading international experts assist METRUMCOIN. In 2017, we obtained a patent, which protects our methodology for attracting investments in real estate objects with the help of crypto-instruments. Real Estate allows quick and safe capital investment. Unlike other assets, RE assets do not devalue. We are offering unprecedented opportunities for conducting business both online and offline. 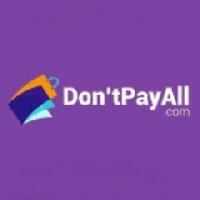 Never before has conducting deals and transactions in the RE market been so easy! But that’s not all. 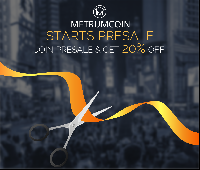 Early participants of the project are guaranteed a 20% discount for purchase of METRUMS token. Every single investment you make is your personal contribution towards the evolution of the RE market in the 21st century, as well as contributing to the project that will forever change the way business is conducted. For further information about our project and technical details of the platform we recommend looking at the Roadmap and White paper.